Being an Indian, I would not recommend it. The naan seemed to be not fresh. Probably frozen and reheated. They served rice with almost every dish, even when the rice does not go with it. For e.g, we ordered dry chicken tikka (below average taste) and that came with a portion of RICE! We ordered palak paneer. The paneer was scarce and dry from outside and watery inside! Tasted horrible. This restaurant is far from true Indian taste. Sans plus. La lecture de la carte n’est pas simple. Bon mais curry un peu fade. Service agréable. Food was great and staff too! 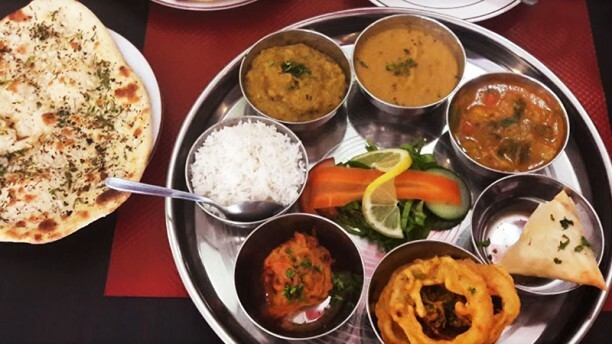 Authentic Indian food at affordable prices. Amazing service! Very tasty dinner and very friendly staff! For this price you find nowhere such a delicious eating. I definetly recommend it. Really nice People and i recommend the Mango Lassi! and quantity is good too.